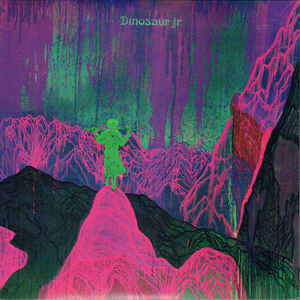 Let’s face facts – in 2016 it is remarkable that there’s a new Dinosuar Jr. album to go ape over. After all, the original lineup of the band (J Mascis, Lou Barlow and Murph) only recorded three full albums during their initial run in the 1980s. Everyone was gobsmacked when they reunited in 2005. Even more so when they opted to stay together, as they have for 11 years now (on and off). And with the release of “Give A Glimpse Of What Yer Not,” this trio redivivus has released more albums in the 21st century than they did in the 20th. It’s enough to make a man take a long, thoughtful slug of maple-flavored bourbon and count some lucky stars. Vinyl version includes digital download.